Swiftkey, the Microsoft-owned popular keyboard maker, released its first new product today since being acquired. 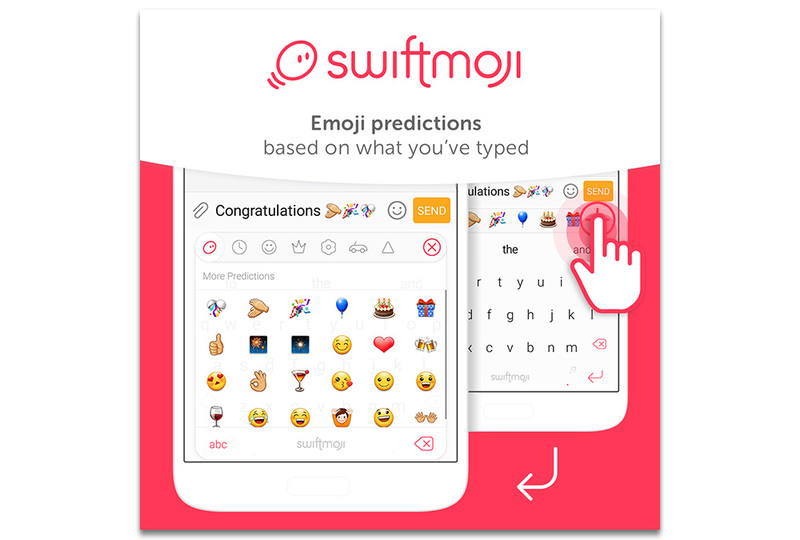 The new keyboard (yes, they made another keyboard) is called Swiftmoji and it aims to help you become the emoji champion you always hoped to become. In fact, the sell here is that it “removes the frustration of playing hunt-the-emoji” from your life and predicts which emoji you might want. The app, much like Swiftkey does with word prediction, predicts emoji related to your conversation and offers them up through a shortcut bar at the top of the keyboard. Swiftmoji also brings forward trending emoji from around the world, so that you are never left still using the laughing-crying emoji, while everyone else is onto the new new. The app is available for free today on both Android and iOS.